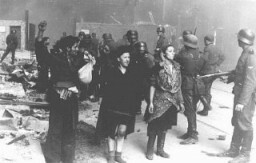 Between 1941 and 1943, underground resistance movements developed in about 100 Jewish ghettos in Nazi-occupied eastern Europe. Their main goals were to organize uprisings, break out of the ghettos, and join partisan units in the fight against the Germans. 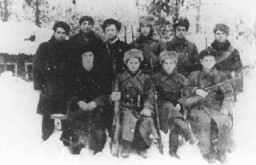 The Jews knew that uprisings would not stop the Germans and that only a handful of fighters would succeed in escaping to join with partisans. Still, Jews made the decision to resist. Further, under the most adverse conditions, Jewish prisoners succeeded in initiating resistance and uprisings in some Nazi concentration camps, and even in the killing centers of Treblinka, Sobibor, and Auschwitz. Other camp uprisings took place in camps such as Kruszyna (1942), Minsk Mazowiecki (1943), and Janowska (1943). In several dozen camps, prisoners organized escapes to join partisan units.